Wolves in the Throne Room are seeking to change the traditional style and messages often brought about by the black metal genre. With their latest album, Two Hunters, the group has definitely achieved that goal. Mixing in elements of doom metal and melodic tranquility with the traditional blasting, heavy sounds of black metal, this album is far from your average genre release. Two Hunters is a mix of organic sounds and divine passages, a surprisingly unique take on this often satanic and evil themed genre. There may only be four songs on Two Hunters, but each one ranges from around 5 to 15 minutes in length. The variety of styles may actually come as a surprise to most, as based on the first song listeners would likely be expecting another doom/drone band similar to Earth or Sunn O))). But once the second track kicks in with faster paced blast beats it becomes clear that this is an extremely experimental take on black metal. 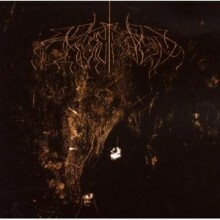 By mixing in the spastic and dark nature of black metal with the tranquility of experimental drone and an organic production (meaning no computers were used to enhance the sound), Wolves in the Throne Room have crafted a unique experience with much more depth than one would expect. The mentioning of drone and Earth may make Wolves in the Throne Room begin to appeal to some of our readers out there, but I should make it clear that this is a black metal band at heart. Therefore listeners should be able to appreciate extremely high pitched and at times indecipherable shrieks on par with artists such as Xasthur. However, as mentioned before there are moments of tranquility mixed in with the intense ones. The last two tracks feature guest vocals from Jessica Kinney, who has an absolutely beautiful voice. The mixing of these two contrasting vocal elements work together to create a sound like no other, making Two Hunters an album worth investing some time into. Truly appreciating Two Hunters will require the listener to enjoy both the drone and black metal genres, but those who truly put the time into it will find an absolute gem of an album. Wolves in the Throne Room have truly tapped into something special with this album; here’s hoping that the listening public is able to both enjoy and understand it. Bringing a sense of melody and serenity to a commonly chaotic genre can often spell disaster, but this group has made it look easy.